Location, location, location! 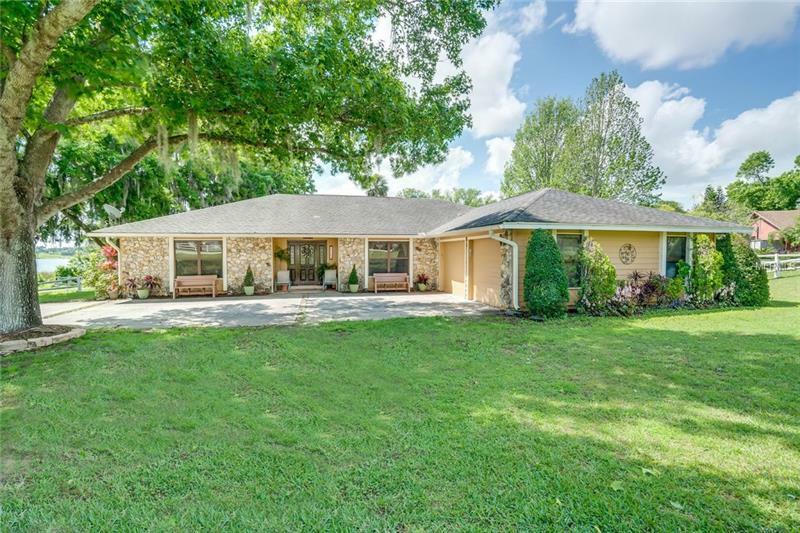 You can own a great home right next to Lake Florence in Montverde and be minutes away from Montverde Academy. This 1986 ranch home offers a gorgeous fireplace & lots of natural light (2 skylights) in the living room. There is a formal dining room to the right when entering the home. There are 2 large bedrooms on the left side of the house with wood floors. The master bedroom is very large and has a sitting/vanity area before entering the walk-in closet. There is a large tub & separate shower in the master bathroom. The kitchen offers granite counter tops, a double oven, a brand-new stove top, solid wood cabinets, a breakfast nook area, a large closet pantry & a great view of Lake Florence while enjoying your coffee or meals. There is a Florida room & a 375 sq ft screened in lanai on the back of the home. The home offers 2 AC units; 1 of the units is only 10 years old & both units have been well maintained every 6 months. The roof was put on in 2004. The home was recently painted on the inside & outside. The hot water heater was installed in 2011. The septic tank was cleaned out in 2017. The paddle boat & riding lawn mower stays with the house. There is also a 245 sq ft workshop/shed with electricity in the backyard. The yard has an 8-zone irrigation system thatâs supplied via the well & has grapefruit & peach trees planted in it. The house does come with a central vacuum. NO HOA! Sit back & relax in your peaceful home while looking out onto the calm waters of Lake Florence. Additional Water Information: You can swim in the lake at your own risk.